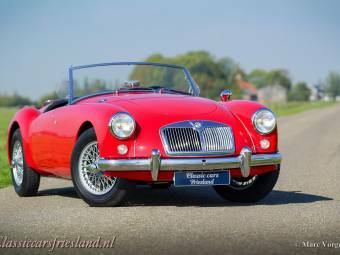 The MGA was a sports car manufactured between 1955 and 1962 by British Motor Corporation’s (BMC) MG division. 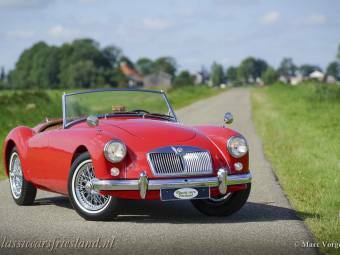 Replacing the MG TF 1500 Midget, the MGA was a departure from the style typical of earlier MG sports cars. 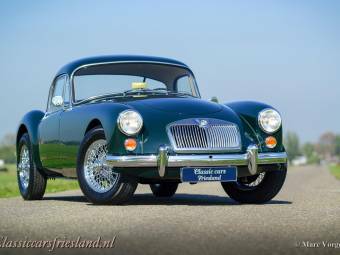 At the 1955 Frankfurt Motor Show was the official launch of the model, and it went on to sell 101,081 units before production ended in July of 1962. 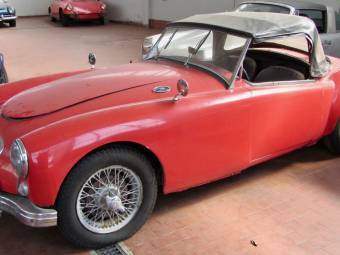 The MGA was one of most exported cars in Britain at the time with a vast proportion of the sales from abroad. Just 5869 remained in Britain. 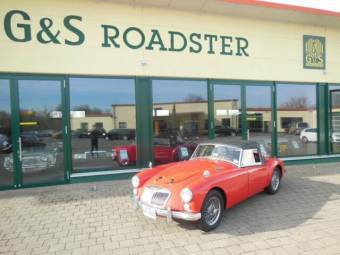 The two-door MGB sports car replaced the MGA in 1962. 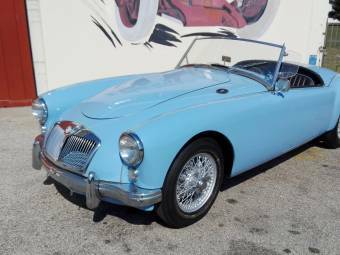 The conception of the MGA design began when MG’s Syd Enever redesigned Le Mans driver George Phillips’ T-type MG car in 1951, making it more streamlined. However, problems remained with the seating which was too high, so the chassis was next to be redesigned with wide side members and the seats attached to the bottom sections. The result of all this was a prototype that was shown to Leonard Lord, BMC chairman. 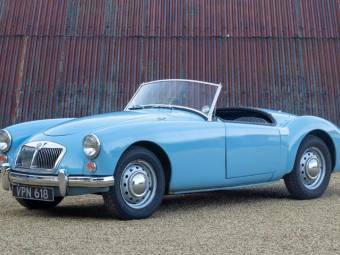 Initially, the idea was turned down as a deal had been signed to manufacture Austin-Healeys two weeks prior, but Lord had a change of heart in the face of falling sales and the UA-series idea - as it was initially called - was revived. 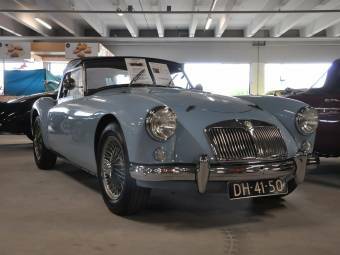 Rather than MG, the model was eventually named the MGA due to the car’s unique appearance. The engine of the MG A 1500 outputted 68 hp before being upgraded to 72 hp. Overall, 58 750 of this standard series of cars were produced, including a coupe version. 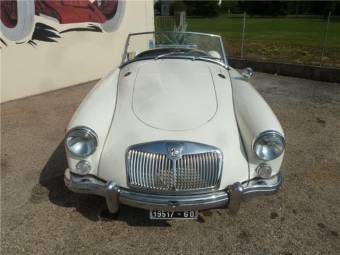 In 1958, the MG A Twin Cam model began production using a 108 hp B-Series engine with high-compression aluminium cylinder heads. 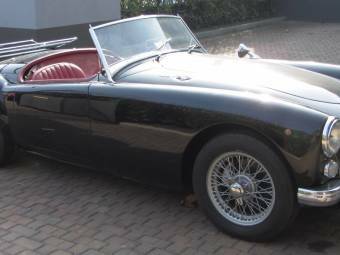 Only 2,111 were sold before production ceased in 1960. 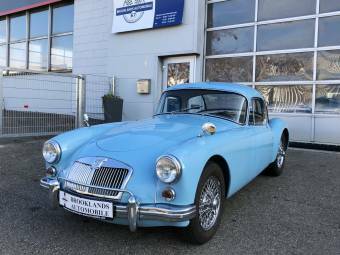 Other models included updates to the standard 1500 type with the MGA 1600 in 1959 and the Mark II, both of which having upgraded engines. 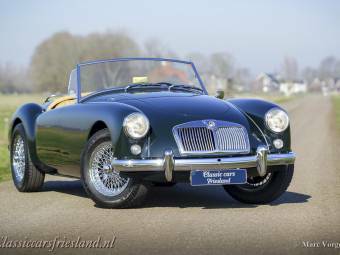 In racing, the MG TD was built for Le Mans racer George Phillips who entered the car into the 24 Hours of Le Mans in 1952. 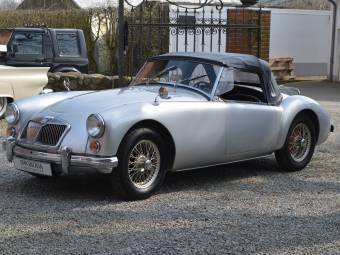 In order to accommodate a lower seating position, the EX 175 prototype was produced and would go on to become the MGA. 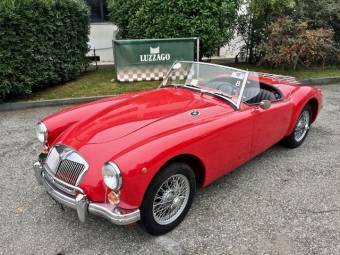 For the 1955 Le Mans event, MG entered three prototypes with two finishing 12th and 17th respectively. 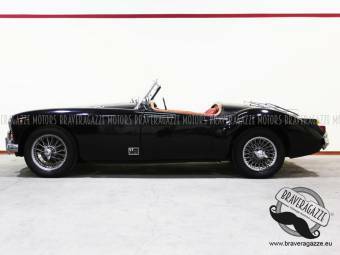 US racing competitions have seen the MGA entered on numerous occasions for competitions at regional and national levels, including NASCAR in the early 60s. Also, MGA driver Kent Prather entered the SCCA national championships from 1986 to 2005 with some success.